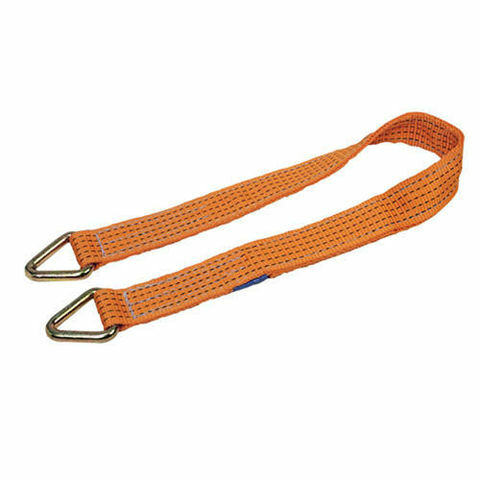 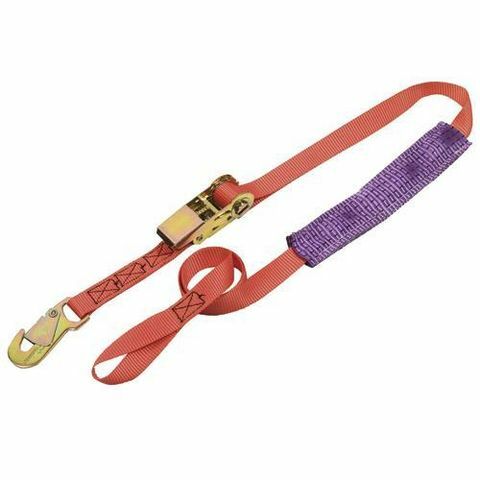 This heavy duty strap enables a recovery winch hook to be safely & securely attached to vehicles that otherwise have insufficient towing points. 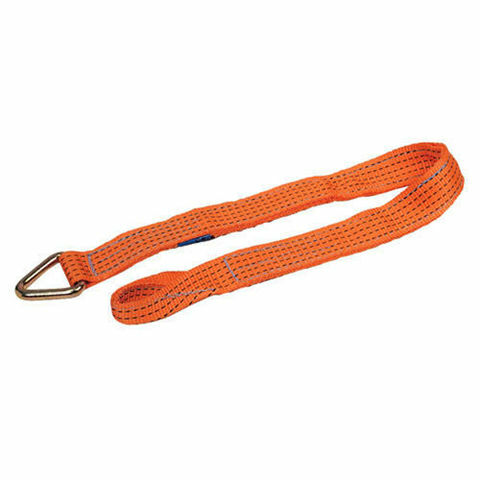 Delta link one end, folded reinforced double thickness eye at the other. 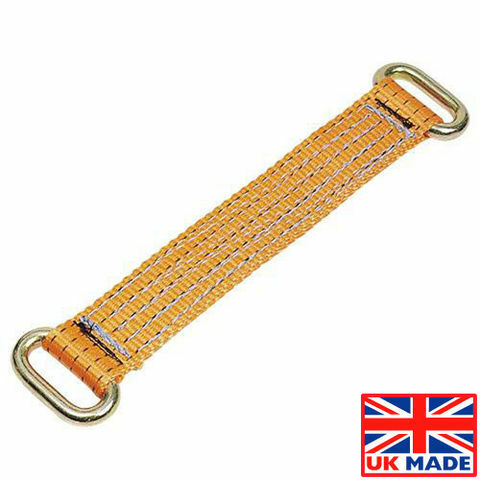 100% high tenacity polyester webbing recovery strap to secure motor cycles etc to flat bed trailers and recovery vehicles.